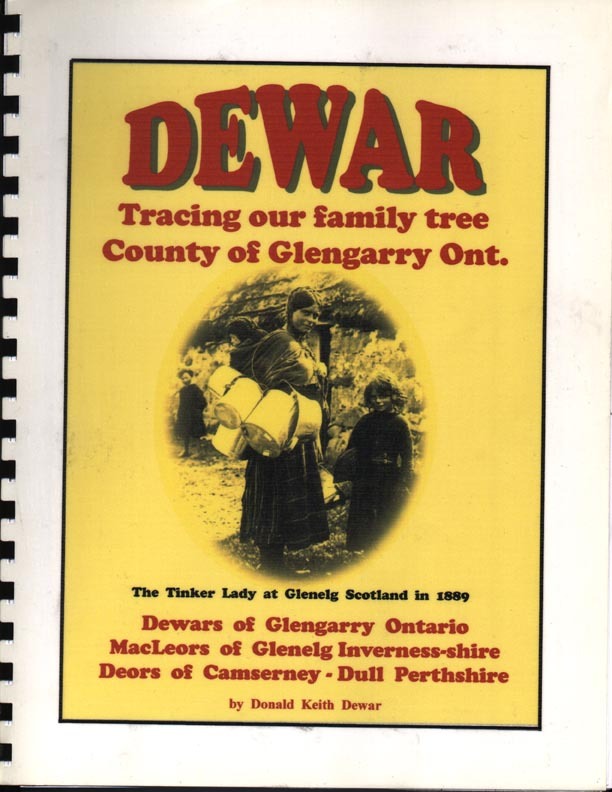 " Dewar,-- Tracing Our Family Tree, County of Glengarry Ont. " Glengarry County Ont & area. Welcome and thanks for visiting my Glengarry Prescott Soulanges Stormont Vaudreuil County Pages in which we are displaying various links of interest to those searching for cemeteries, churches, gravestone inscriptions, church records, family histories and other sources to help the Glengarry and area researcher. County of Glengarry Ont. " This page here is for References purposs only. By Donald Keith Dewar, Thorold, Ontario. 5th Edition 2005, illustrated with about 135 photos, maps, etc., soft cerlox comb binding, 110 pages, no index. Unfortunately no copies available at the moment. I have emailed Alasdair for permission to make a photo copies, still waiting for his reply, AWF. This Dewars of Glengarry Book is No longer Available from Alex W Fraser. 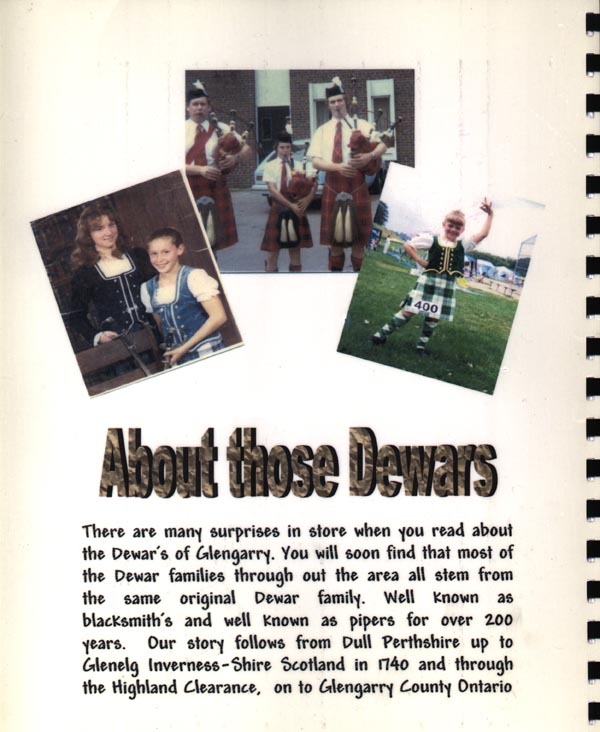 Send Queries to Alasdair Macrae who has all of the DEWAR research info now, he is continuing on the research and the book. Dewar Book No longer Available from Alex W Fraser.